Sila has announced an open beta programme for its all-inclusive API platform that bridges the gulf between existing financial systems and blockchain functionality, reports Jane Connolly. The company says that the platform, which utilises Sila stablecoins and the Ethereum blockchain, will enable fintechs to drastically reduce time to market for applications in a regulatory compliant manner. Sila was co-founded by CEO Shamir Karkal, who also founded Simple, a digital banking service in the US (it was purchased by BBVA in 2014). 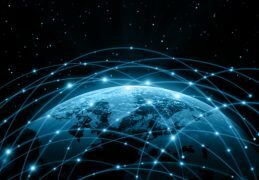 Karkal states that the revolutionary power of blockchain still needs to connect to traditional banking systems to move forward. “Existing payment systems – ACH, Visa and Swift – are accessibly only to a handful of large incumbents, while the money transmission licensing process today is a nine to 18-month process,” Shamir says. “Our REST APIs provide a layer on top of the existing payment systems, making them programmable and ultimately making Sila tokens programmable cash. Sila offers Ethereum smart contract functionality and value transfer via ERC-20 tokens. Sila tokens are pegged to the US dollar, with other currencies to follow, via a centralised, 100% reserve held in liquid US treasuries. There are seven modules in the Beta Sila API, which Sila says remove all the hurdles of integrating the current financial system into an application.